Everyone who has a bitcoin wallet may add an entry to the blockchain. Everyone can create a bitcoin wallet and generate a private cryptographic key, which gives them the ability to make transactions associated with that wallet in the blockchain. Owners can transfer funds from their own wallet to other wallets. Cryptocurrencies have value, when someone considers them valuable and the number of people worldwide who do has grown enormously. Therefore, it can be assumed that cryptocurrencies will always have value. It is unclear if it will be bitcoin or some newer and more convenient currency. What is clear is that cryptocurrencies are here to stay. Unlike ordinary money, their value is not guaranteed by any country or bank. That is its strength. Periodically, political, military and/or economic crises occur that affect money. Cryptocurrencies are cosmopolitan; they do not depend on state borders and regulators. Currently their price is very volatile and subject to manipulation by large players known as “whales,” but this is not as bad as the hyperinflation that arises in some countries, such as Germany after WWII, Russia and other countries of the former USSR, Zimbabwe, Venezuela, etc. The second advantage of cryptocurrency is that no one can prevent you from making transactions. If you have a cryptographic key to access a wallet, you can do it. Unlike a bank account, you do not need to confirm your identity, report funds movement, purpose of payments, or who received the funds. You can argue that an honest person has nothing to hide, he can open an account in the bank and calmly pay rubles, dollars, euros, whatever, but it does not always go smoothly. If your country has an unstable economic or political situation, the bank may close at any time and accounts may be blocked. For example, in 2014, Master Bank, which had the lion’s share of payment processing of plastic cards in Moscow lost its license. As a result, many cafes and shops temporarily switched to cash-only payments. If these shops and cafes hadd used cryptocurrencies for payment their business would not have been affected. This is the benefit of the absence of intermediaries. In this way cryptocurrencies have formed a new class of financial assets, along with traditional national currencies (AKA, fiat money), exchange commodities, real estate, stocks and bonds. Cryptocurrencies are anonymous, as were the suitcases of cash dollars they are replacing, which is why they are favored by the shadow economy. The anonymity is a cause of concern to governments and regulators, since it makes things, such as taxes, difficult to collect. Theoretically this is solvable, for example, a business owner states that they have earned so many bitcoins or other currencies and pays the required taxes. However, solutions based on self-reporting rest on the honesty and veracity of people. It has been proved over and over that online actions mirror those offline and the act of avoiding taxes date back several millennia to the first ones levied. While bitcoin was the first, other currencies now exist that are even more anonymous. With bitcoin, if you knew the wallet address you could always see the balance and transactions, but with new currencies, such as Monero, Dash and ZCash, you can’t. Also, it became possible to use blockchain not only to store money transactions, but also data. For example, you can save the checksum of a file and thus confirm your copyright to it, the presence of a specific text in a treaty, or the authenticity of a certain document. Other applications for blockchain may be the registration of transactions (for example, with real estate), tracking the supply chain of goods, conducting voting, etc. However, all these can be done more effectively with the help of conventional centralized databases and registries. Therefore, such projects remain experimental and have not been widely used. A new development of the cryptocurrency system of p2p-payments is found in smart contracts. Currently Ethereum is the most popular system supporting smart contracts. A smart contract is a computer program that provides deterministic calculations. This means that the result of the calculation is uniquely dependent on the input parameters. Such programs are stored in the Ethereum Blockchain and may be accessed by any member of the Ethereum system. The creators of Ethereum are Canadian programmer Vitalik Buterin and British programmer Gawin Wood. One of the simplest smart contracts is a multi-signature wallet, where you need approval from all owners in order to conduct a transaction with the stored funds. For example, if your firm has several owners there is a common wallet, with a set spending limit, above which you need confirmation of all owners. Another example is an escrow service, where a smart contract purse in the blockchain holds and disperses the funds. There are three participants, seller, buyer and real estate registry. The registry passes the detailed information about the contract to the smart contract. As soon as the smart contract sees that the money has arrived, and all contractual conditions have been met, the money goes to the seller. If any condition is not met before a specified date the smart contract terminates the deal and returns the money. At the moment, smart contracts are most often used when conducting an ICO to maintain a register of shareholders of various projects. Shareholders receive cryptocurrency tokens for the project in which they invested. The exchange value of tokens varies depending on the success of the project (or its manipulation). The ERC20 standard provides for the creation of a token on the Ethereum unit. Technically, this standard is a smart contract that stores the addresses of the owners of the tokens in the Ethereum system and ensures their transfer to other addresses. The standard ERC20 has proven itself and is very convenient for crypto-instruments when they need to connect a new token. It is assumed that in the future smart contracts will automate the activities of various organizations, especially in conjunction with the IoT when different solutions can be accepted automatically based on sensors. 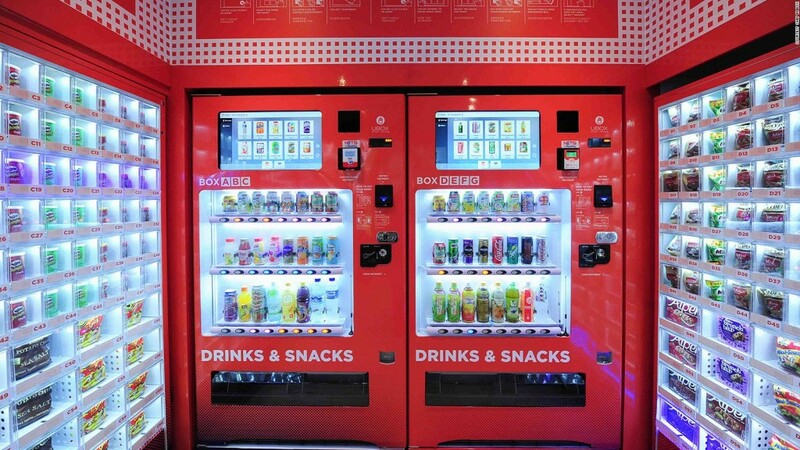 For example, when a vending machine selling drinks needs refilling, it activates a smart contract that places an application for refilling it on an online exchange. This triggers a delivery, by person or robot; when the vending machine is full the smart contract transfers money to the machine’s owner. Current blockchain uses have only scratched the surface of its potential. How do you see it being used in the future? Please share your thoughts, ideas below in comments. Questions are welcome, too.